Things just got better at Virgin Megastore! Not only are we altering our official trade-in program name from U-PLAY to SWITCH but we are adding a whole new line of benefits one can take advantage of when it comes to your preloved electronics, gaming items and music necessities. 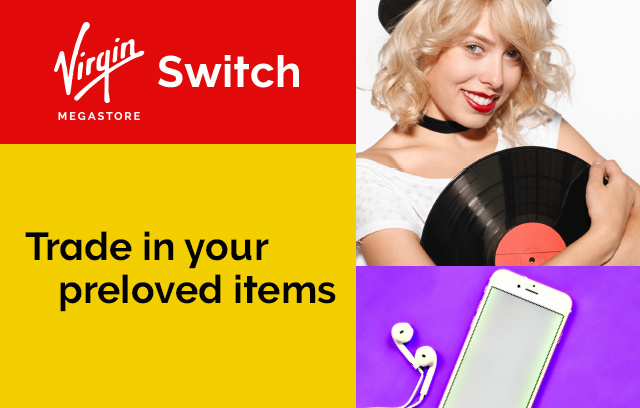 Bring in your preloved vinyl, games, consoles, MP3 players, mobile phones, smart watches, laptops and/or laptops and register at the SWITCH counter located at any Virgin Megastore branch. Allow our SWITCH experts to evaluate your item/s. If accepted, you will earn SWITCH points or be given a cash value voucher. Head over to any Virgin Megastore branch and trade in your preloved items which include vinyl, games, consoles, MP3 players, mobile phones, smart watches, laptops & tablets. For games, consoles and vinyl you will earn SWITCH points. Each SWITCH point is equivalent to AED 1. For laptops, MP3, smartwatches, tablets, and mobile phones you will receive a cash value voucher. Register for the free SWITCH program at the SWITCH counter located at any Virgin Megastore branch. If accepted, the total value of your traded in items will immediately be credited to your SWITCH account as either SWITCH points or a cash value voucher. All earned cash value vouchers or SWITCH points shall automatically expire after 6 months from the date earned. The date earned is the date when the SWITCH points are credited to your account or when the cash value voucher is issued. You can immediately redeem / use your cash value voucher or SWITCH points. Or if you wish, you can use them later. The evaluation of any preloved item depends on its official release date & condition. Hence it is advisable to trade in your items as soon as you can to gain more SWITCH points or cash value vouchers. You must be 15 years of age or above to register to SWITCH. If not, you need to be accompanied by a legal guardian. An active mobile number needs to be issued for your SWITCH account to be linked to. All games, consoles and vinyl, in specific, should be in excellent operating condition and free of any scratches and/or dents to be eligible for a trade in. Consoles and vinyl must be in the original box including all leaflets and manuals. All consoles must have all accessories and cables that were included in the original packaging at the time of purchase. Virgin Megastore has the absolute right to accept or reject the items in the SWITCH program. Games related to the following devices are not accepted: PC, PS2, PS3, Xbox 360, Wii and Wii U. SWITCH only accepts the following games and consoles: all PS4, all Xbox One and Nintendo Switch. No other console is accepted. Only laptop models ranging from 2007 and above are eligible for trade in. Once your items have been traded in, it is a final sale. No refunds or exchanges are allowed. SWITCH points and cash value vouchers cannot be exchanged for cash in any form totally or partially. You cannot purchase, transfer, trade, sell SWITCH points or the cash value vouchers in any form totally or partially. Virgin Megastore shall not be liable if you lose your cash value voucher or SWITCH points. 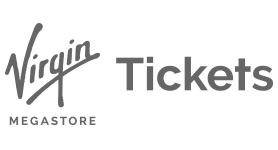 By accepting to trade with SWITCH and be part of the program, you accept the above-mentioned terms and conditions. Virgin Megastore will resell all preloved games, consoles and vinyl at Virgin Megastore. From the date of purchase, a 3-month warranty will be guaranteed and valid on consoles only (excluding accessories).